Born Catair in 1996, the Group became Newrest in December 2005 through a Management Buy Out driven by its current presidents, Olivier Sadran and Jonathan Stent-Torriani. Today, Newrest is the only caterer operating in all segments of the catering marketand relatedservices. Currently, Newrest Spain operates in 14 bases in both Mainland Spain and the Canary Islands and the Balearics. We also have a Central Production Unit located in Palma de Mallorca, specializing in production of frozen meals. 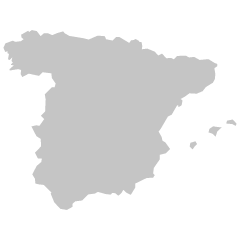 Production units : Palma de Mallorca, Madrid, Seville, Las Palmas, Barcelona, Alicante, Fuerteventura, Ibiza, Tenerife, Valencia, Lanzarote, Malaga. Newrest Madrid is proud to announce that they have received the "European Caterer of the Year 2018" award by American Airlines. As in previous years, on February 20 and 21 Newrest Spain, attended the Employment Forum of the Autonomous University of Madrid. On January 10th, Newrest Spain signed its second plan for equality between women and men.